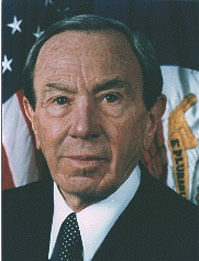 Attorney, diplomat, and US Secretary of State during the first term of President Bill Clinton. Appointed by Gov Pat Brown (D-California) to head the investigation of the 1965 Watts riots, and served as deputy Attorney General under Ramsey Clark in the Johnson administration. As Deputy Secretary of State under President Jimmy Carter, headed US negotiations with Iran seeking the release of 52 Americans held hostage in Tehran.